Round 6 is now open! Good luck to all drivers in the final round of the season! Feel free to discuss your rally here & post any pictures, videos, gameclips, stream links, summaries etc. from round 6 in this thread. A typical Monte for me, a poor effort from me I must say. I think I tried too hard, trying to go too fast. I just didn`t seem to have any grip, anywhere, anytime. Lots of spins, a couple of punctures and a few dead spectators. It means there are less spectators to get in your way. So you can go faster ! That was fun but a really tough round. be unrecoverable that I was really just focusing on getting the car home. @EightOneZero wrote: I was really just focusing on getting the car home. The same here. More is less at MC ! Really tough rally, was pushing like mad but just couldn't keep RallymanVW behind in the end after Goliath went off early again. Looks like the DNF on the last stage in Finland has really come to haunt me in the championship unfortunately but that's rally! Top drive @RCRallyManVW !! 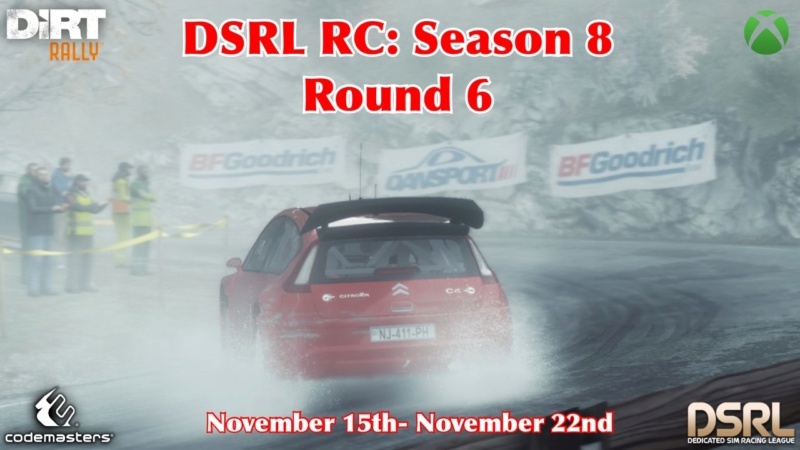 Round 6 and Season 8 are now complete!! That now brings us to 4 different rally winners overall this season! RC Waltcynt and I completed the podium in another crazy battle of attrition that again saw 6+ drivers retire from the rally, including GT R Goliath... the points leader for most of S8! Team Race Clutch finished the season in style with a double podium finish that saw them continue their dominant run in the team championship throughout the entirety of the season. Well done to all who managed to complete the final rally of season 8! Final results & standings will be updated ASAP after all results have been checked over and confirmed.